Last edited by JasonJones; 08-23-2012 at 10:32 AM. like a yard sale on tv. These are great for getting a nice turnover on your cast. They also help to protect the tippet a bit by absorbing some of the hit, but not so much that they feel like a piece of elastic. They are 6ft long with shorb loop at the flyline end, and tippet ring at the tippet end. They are made from 2lb P-Line flurocarbon coated line and sink slowly. You can apply floatant to them to get them higher on the water if needed. Just add a 2 or more feet of tippet to finish off the leader. They last much longer than tapered leaders as all you change out is the tippet as needed. I've caught numerous 8lb+ carp on these leaders, they hold up very good. I went to take a photo and realized I'm all out of pre-made, so I will make these fresh for you. You have your choice of 2lb or 6lb line. 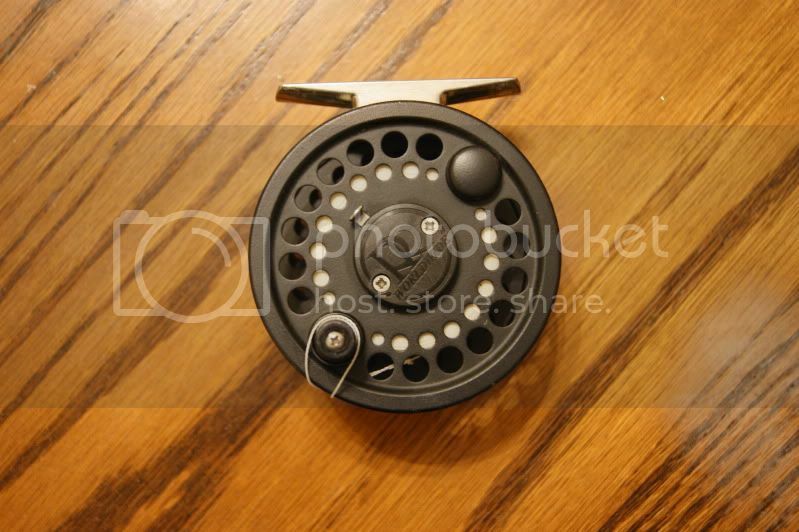 The 6lb would be great for a heavier rod and tossing bass bugs etc. Jason - I'll take the Leaders and will post something from my surplus boxes tomorrow. Thanks for getting this started. This is my kind of deal. Everybody helps each other out and we are win! I'll take the candy hoppers, post something tonite after I get off to pay it forward. Goduster, I'm having trouble reading the box but I think it says it's a WF 6 wt Sinking line, is that correct? If so I'll take one. My PIF is a pair of these "Hat Brim Magnifiers"
hey bug - I'll take those. I'll find something...in exchange...no telling just what it might be.